Ralph Ineson (David Brent’s slimy “friend” Finchy from THE OFFICE) plays the father William in this Olde World old school black magick tale of terror. Poffy frolicking naked in the forest. In 1630 New England, William (Ineson) is banished from his Puritan community with his wife Katherine (Kate Dickie) and their five kids, for being too devout. With William claiming the villagers are false Christians and not adhering to the word of God, I guess no one could see the irony in turning him out of their village. The family settles on the edge of a faraway forest that makes Mirkwood look like a Japanese garden. One day, right under the nose of oldest daughter Thomasin (Anya Taylor-Joy), their newborn is abducted mysteriously, opening a wound in the family dynamic that would fester and turn the family upon itself. Days later, Caleb returns during a downpour, naked as sin and “bewitched” – in a trance-like state that distorts his body while speaking in tongues. They use the best medical procedures of the day to drive out the evil spirit – bleeding and prayers (which is still more effective than the American Health Care insurance system) – while the two little twins of the family (Ellie Grainger and Lucas Dawson) scream accusations at Thomasin for being a witch, while going into their own little convulsions. Of course, the parents take the twins’ claims very seriously because any teen as cute and hot as Thomasin was definitely in league with the devil. THE WITCH is touted as a modern fairytale, which means we take its outlandish story on face value: meaning – the devil is real. That’s good news AND bad news for Christ-mongers. If the devil IS real, the good news is that God is real as well, because for the devil to exist, the entity that opposes that force will exist. And the bad news: God is losing. How else do we account for the loss of this family’s sanity and souls? Black Philip: friend to ominous toddler twins. Public acclaim for THE WITCH is for all the wrong reasons. It is disturbing, but not scary. It is a modern horror movie, and to its credit, contains no slashers or jump scares. Although we see occluded disturbing scenes of a wizened naked woman preparing a baby (for – sacrifice? lunch? ), and a loose-skinned naked woman supping on the blood of a goat, there is no definitive evidence of the titular character. (Then again, the title could simply be a misdirection, and might refer to the lead character’s ultimate fate.) There is no broom-riding, no cackling old women in pointed hats, yet there are visions that chill the base of our brainstems, like a crow picking at the bloodied breast of a mother…An alien dread infuses every scene, stemming from the portrayal of Puritanism – a rugged medieval lifestyle foreign to our social-media sensibilities, and steeped in old world vernacular that is often hard to comprehend. Then that strangeness is piled upon by an even more bizarre lifestyle – the wiccan creed. 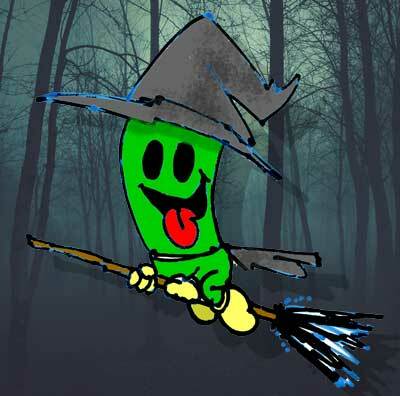 Wiccan lifestyle involves certain culty things, like blood-drinking and frolicking naked in the forest to worship their satanic deity. When immersed in that ethos, it becomes no more weird than gathering in a building with a steeple to worship the body and blood of a dead savior. Anya Taylor-Joy: too hot NOT to be a witch. Yet there is an askew nod to this aspect in THE WITCH, as the young female emerges as the empowered survivor. And the film’s bravura stroke: no reconciliation, no redemption. Kidnapping, murder, black arts; the devil wins. 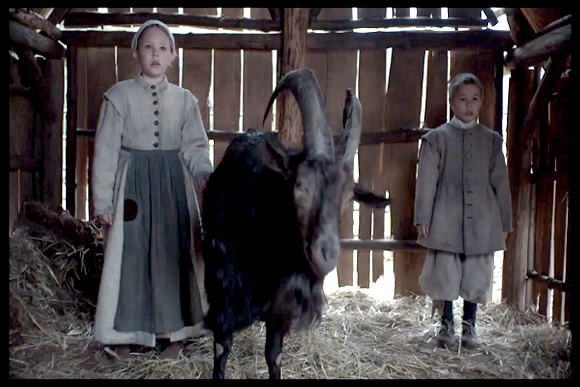 If there is any redemption at all, it is that the family goat, named Black Philip, allows the smooth budding teen Thomasin into the coven to frolic in the forest at last in naked ecstasy. Starring: Anya Taylor-Joy, Ralph Ineson, Kate Dickie, Harvey Scrimshaw, Ellie Grainger, Lucas Dawson, Bathsheba Garnett, Sarah Stephens, Julian Richings. True Horror: The Gutlessness of Humanity. I’m asking myself why, and at first it may seem like the producers are purveying some kind of ancient runes, or adding to the alien-ness of the tone, but, uh… It irks me that the reason might just be because the majority of the film crew, the audience this movie is aimed at, and the studios who would be distributing it, are all so superstitious that the filmmakers mitigated the “evil” by not exactly calling it “Witch” but “VVitch.” Please, Non-Existent God, don’t let this be the reason! Are people this gutless? Unfortunately, VVes.